Goals by Zah Krangar helped Liberia to clinch a 2-0 win over Ghana in anÂ international friendly in Monrovia on Tuesday. The Lone Star raced into a two-goal lead thanks to strikes from theÂ Indonesia-based attacker who plays for Persrpura Jayapura. Krangar took advantage of miscommunication between Black Stars centralÂ defenders John Boye and Jerry Akaminko on six minutes to slot in his first strike. In a similar attack which was started from the right, defender Razak NuhuÂ failed to clear at the first attempt allowing Krangar to pounce in the boxÂ in the 9th minute. But the Black Stars were denied the chance of taking the lead in the second minute when captainÂ Asamoah GyanÂ goal was ruled offside. The first-half was played for just forty minutes which led to complains byÂ the Black Stars players over the decision to shorten the game. 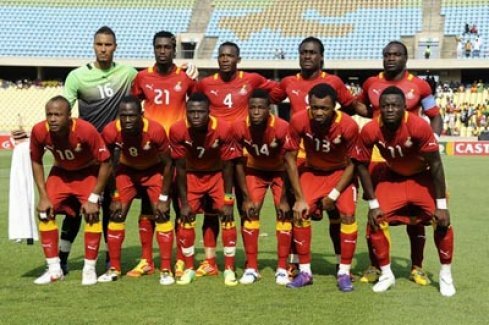 Coach Kwesi Appiah made several changes after the break to improve theÂ chances of the Black Stars drawing level. 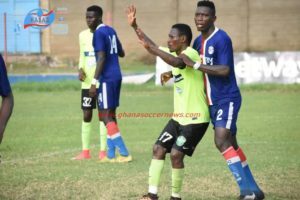 Isaac Coffie was replaced by Anthony Annan while Derek Boateng made way forÂ Richmond Baokye Yiadom with Rashid Sumaila taking the place of injured JohnÂ Boye. The Black Stars lifted their game with Chrsitian Atsu narrowly missing theÂ target with only goalkeeper Nathaniel Sherman at his mercy after beingÂ set-up by Gyan. The stand-in captain Gyan blasted wide before making way for Abdul MajeedÂ Waris and Kwadwo Asamoah's pile-driver could not get the consolation for theÂ Black Stars. The Ghanaians mounted a late siege on the Liberian goal area but that couldÂ not prevent the home side from clinching their 17th victory over the BlackÂ Stars. Fire Kwesi Appiah before it's too late. Useless coach. Coach Appiah needs to understand that there are no 'friendly' matches in soccer today. It's important to communicate the winning mentality to the players. I believe whoever is deemed fit to wear the Ghana jersey is good enough to bring results! This was an unfortunate slip up by Coach Appiah! THANK YOU AKWASI APPIAH FOR THE SHAME YOU'VE BROUGHT ON GHANA. THANK YOU VERY MUCH. We should have known better, when they appointed you as our head coach most of us smelt a rat. It's business as usual, the manner we sell local players to overseas club the same manner you are going to sell our matches. You need more money at the expense of our success? Thank you again for the disgrace. This is the time for those who love their tribal team more than national team to come out to criticize these kumasi coach. 1) This guy don't have UEFA licence, 2) Never played professional football abroad, 3) No head-coach experiene, 4) Tactially blind. I think he has exposed himself today. 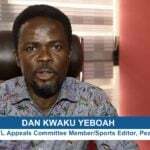 He either admit taking bribe or tell us he is not good enough to handle Black Stars. We labored and struggled before playing a draw with China, but Brazil effortlessly beat China 8-0 today. Nigeria drew with Liberia at the weekend but the same Liberia beat us hands down today. Akwasi Appiah should publicly explain the loss, is it bribe or incompetence? We need an answer. i hope he is fired before our away match 2 sudan in the world cup qualifiers. i ve lost all the confidence i had in AA. He is no tactician. if milo had the kind of squad AA has now, we wud ve won afcon 2010. milo used strikers like goal-shy prince tagoe 2 get to the finals of afcon 2010. wid AA, i doubt if we will even be able 2 make an impact if and if we qualify for brazil 2014. AA must go NOW. Ghana wat can i say........ THERE IS NO SMALL TEAMS IN AFRICA!!!!!! NO WORLD CUP OR AFRICAN CUP FRO GHANA ... LADIES &amp; GENTLEMAN WERE ABOUT TO WITNESS DA FALL OF GHANA. I'm sad for some of these new players in the team. trust me this is their goodbye match. I pity ppl like Fatao Dauda and the likes cos they're not going to be called again for instance where is William Amamu, Patrick Antwi, and co?. Any way they shld come and declare themselves they must tell us how much the much was bought by the Liberians. Coach Appiah needs to give this job all the seriousness it deserves. He misdiagnosed the sloppy first half the Black Stars had against Malawi hence his team's loss to Liberia. This loss to Liberia will give Malawi extra confidence in the second leg qualifier. He attributed the poor first half showing of his players to tactical indiscipline but I say it was because the players were not used to playing together. He had too many players that were not yet used to each other and also the fact that Jordan and a couple of other players kept losing the ball with every possession. After that close win against Malawi you would think Coach Appiah would try to keep eleven starters together so they have more time together to gel before the return leg in Blantyre. I was shocked to hear that Vorsah, Adam, Opare were not on the squad for Liberia. I was further dumbfounded to hear that Jordan was still on the squad and Dede had been benched. Dede had a sub par game in Accra and as the competitor he is would be itching to make up for it in Monrovia so why bench him? There is no logic or rhyme to Appiah's decisions. All knowledgeable Ghana fans have by now heard of Waris' exploits in Europe so why start the Asante Kotoko player ahead of him? Waris left the Ghana league and has been signed to a European contract and has more Club goals than Jordan and this Asante Kotoko player combined, so why was he on the bench? 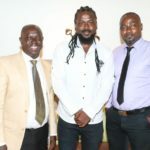 Remember Coach Milo, Desailly, your nemesis Abedi Pele are all on the wings waiting for you to prove you are not ready for the Black Stars head Coaching job and so far you do not have right premise and will continue to lose to teams that are ranked so low on the table that a Black Star B team is supposed to beat them. So far you have lost to or struggled against teams that are not even close to being in the same league as the Black Stars, yet I keep hearing you giving every minnow the same recognition. How are you supposed to beat them when you think they are as good if not better than you? You should start by knowing that you can beat every team that is ranked below you and you will go after the teams that are above you like the Brazils and Englands and compete with them and if possible tear them apart. YOU seem to have the wrong temperament for this job. My advise to you is select your starting eleven and baring any injuries keep them together as long as you are coach. Every other player should be starting from the bench or competing to knock off your starters. When you invite players to camp you should start with your first eleven then another set of eleven bench players plus your goalies. Practice your starting eleven together and play them together so we can see some cohesion and real team play and not just a collection of talent. As to how Daniel Agyei has been droped from the team beat my mind.Agyei is a winner.He won the u-20, was at Angola 2010,S.A2010 and the just ended AFCON. How do u drop such a goal keeper. Unless somebody tell me he is injured.That back-room staff will destroy the black stars;keepers trainer,doctor etc be ware!! Akwasi Appiah - the 1st coach to let us miss a nations cup! Now people are shining their eyes.....i have said it over n over again. Can anybody here confidently name me kwasi appiah's starting eleven?? i can do so for ivory coast, guinea and senegal ....but can't do so since this coach came-----i could even do it for MILO! Simply put----the guy has no damn clue about what he's doing....n Max Konadu is also silent about it! Watchout Ghana.....this coach is mediocre---he doesn't cut it. This was either Desailly or Tanko's job....not akwasi appiah! What is ur starting 11 Akwasi? ....i bet u...he's still looking for it....after how many years of being a Ghanaian and an assistant coach....n now coach?? You kwaseafuo are crying over a friendly!!! People are attacking the coach instead of realizing that Africa is now wide open. These type of defeats are painful but necessary to teach the players a lesson about how they need to pick up the intensity for every opponent. The Black Star on your chest does not lead to automatic victory. You people what do u mean and why ar u putting so much presure on the black stars. The ar not machines to win all their games, even Barcelona lost to Hercules 2 -0. The doing this the team will never win any trophy since nothing good is obtained from presure. We played against 12 players.the ref was one of them so how do you expect us to win.this will certainly boost the confidence level of the Malawians. we all know dis coach is a kotoko coach, kotoko fan etc. Hav u seen what tribalism has led to??? The Malawians coach knew that our team is no team and that is why he is confident that he can beat Ghana and eliminate us for the Africa cup qualifier back home. Akwasi you have not done anything special with this team since you took over. As a matter of fact, you have made BS team worse than you came to meet it. We will not take it easy if you are not able to qualify BS to South Africa, win it, qualify us to Brazil and move past the quarter-final stage. However, your first test is the Africa cup qualifier and winning it. 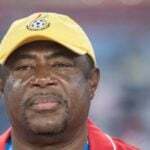 If you know you cannot please, leave BS honorably because Ghanaians will not accept words like ' it is my fault, blame me not the players' like your predecessor did, after you have failed to achieve the above. Do not let the money entice you and continue to push when you know that you cannot complete this task. 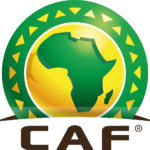 I quote "They say Zambia won the last nations cup due to the absence of big names in Africa! What a scrap? Does that implies that if Nigeria, Egypt, Cameroun and Algeria had participated Ghana wouldnâ€™t have even come fourth" Didn't these teams play the qualifiers? Why were they not able to even qualify? This means the same big names were eliminated by the teams you are tagging as small so what is your point? Well done Liberia for beating the juju stars. Iam sure Malawi will pick it from there. Iam told that the Malawi V Ghana game will be played in Zambia.we shall be there to support our neighbor through out the game. our stadium will be filled to capacity as we support the flames. Shame to all you Ghanaian who are always talkative on this site. i hope u have seen that your team is not going anywhere. Once again well done Liberia for humiliating these guys. Nicely said. But please cut him some slack, it's just a friendly match. Well said Mr ALEX, i don't think this stupid guy who call himself chipolopolo knows what he is saying. He is talking as if his mouth is his ###! what an ignorant thing to say! Shame on u chipolopolo!!! Go to Zambia site and post rubbish comments there. 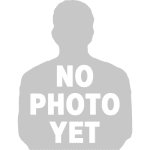 Stop posting rubbish comments on Ghana site. Anyway, Ghana must welcome players like, Essien, KPB, Muntari, Abayie....etc. We must also give Milo second chance. I am very sure, he is the right man for black stars job. Anybody who think that coach Kwesi Appiah can qualify black stars to world cup is fooling himself hahaha. GFA, pls give Milo second CHANCE. Are You That Dumb or Just Plain Stupid Alex?? Just Because LIBERIA BEAT GHANA IN A FRIENDLY which hurts you soo bad,You Come Here and Label An Entire Country As "EX-REBELS"?? WELL THERE ARE HUNDREDS OF THOUSANDS OF GHANAIANS CURRENTLY LIVING WORKING AND BENEFITING HEAVILY IN LIBERIA RIGHT NOW. AND THE SO CALLED "EX REBELS" ARE VERY HOSPITABLE TO THEM, UNLIKE THE XENOPHOBIC BUNCH HERE IN GHANA. It was a Humbling Match, Such Results Are Necessary to Spice up African Football and Bring Out the Best In Teams. ghana your good players are old sully essian pantsil those were good players not half baked ones as jordan the only good player is inkum.